Uncanny X-Men #544 focuses squarely on what’s left of the original X-Men (Cyclops, Beast and Iceman), which is exactly what I’d want. It even uses the first page from 1963’s X-Men #1, the first issue of the series, to great effect juxtaposing the current status quo in the text with the Jack Kirby’s artwork. These characters have been through a lot in the pages of Uncanny (and countless other X-Men books) over the last 48 years, and this book summed things up nicely. The scenes of Cyclops boxing framed photos of days gone by epitomized the theme of closure and writer Kieron Gillen proved very effective at packing at lot of history and emotion into 20 pages. The enigmatic Mister Sinister, who is seen and heard here mysteriously writing the X-Men’s present, narrates the final issue. His simultaneous search for the right combination of traits by destroying and rebuilding his body was intriguing and serves as a fun bit of meta commentary on the way the series is being restarted with a new incarnation. Sinister’s fascination with the Summers family tree is also on display and introduces the interesting prospect that Hope Summers is somehow the cosmic offspring of Cable, if not a biological one. His statement that “lunacy happens,” would certainly ring true if this is a hint at what’s to come in Uncanny X-Men volume 2, and I think I’m going to find it very enjoyable. Greg Land’s artwork is the usual mix of strong pages and panels side by side with the worst examples of his weaknesses: odd poses, inappropriate facial expressions and characters looking out of place together in the frame. There are some really nice looking images here though, particularly the framed photos of the original team, some of the more gruesome elements of Sinister’s self destruction and rebirth, and Iceman’s final Danger Room session on Utopia. 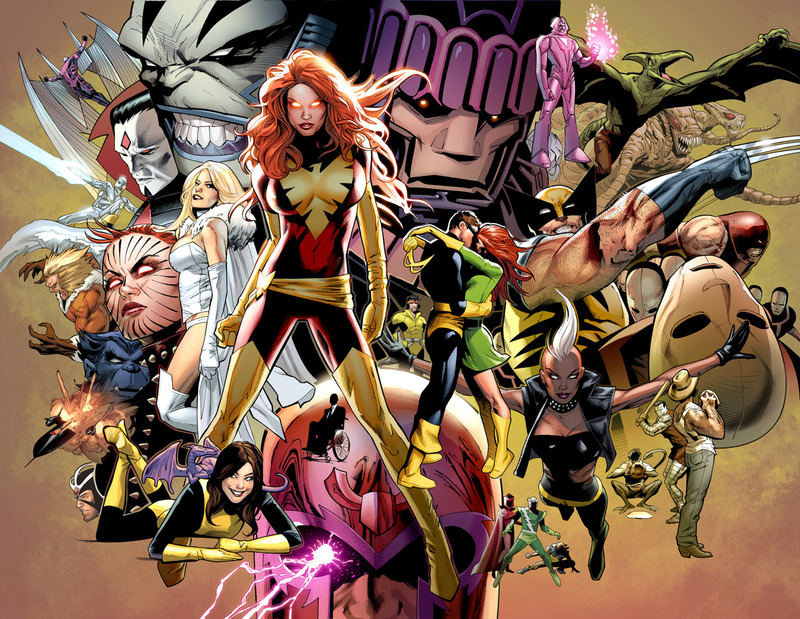 I’m also a big fan of images like the two-page spread of X-Men heroes, villains, and moments, but I can’t say that it would be as appealing to the eyes of anyone who hasn’t been reading the series for decades. Land’s cover art for the issue is suited to his style, and I have to say I like it. While Uncanny didn’t run as long as books like DC’s recently relaunched Detective or Action Comics, the cancellations and new volumes those books saw in September left Uncanny X-Men as the longest running series in comics with uninterrupted numbering. Going back to 1963, it’s the last of Marvel’s “core” titles to see a renumbering and I can’t help but recall a time when Uncanny was seen as the book with the “weird and complicated” publishing history compared to the rest of the line. When I first started reading Uncanny as a boy, my friends would joke that I read the book that had been “cancelled” at one time. This happened long before any of us were born, but I found it amusing that the title with a stigma of having been turned into a reprint series had become the “old man” with a distinguished and impressive publication history. If this ending had to happen, at least it came with an enjoyable concluding chapter. Gillen invokes some relationships and memorable quotes from throughout the series’ past and does his best to put a cap on the near fifty-year history of the Uncanny X-Men. The moment the final issue was announced, I felt like I was losing an old friend to a cheap stunt, and despite my firm belief that the original numbering will ultimately return, the work done here still struck some emotional chords. Sinister is likely to be a big part of the new Uncanny series (which starts this week) as we see him closing down his current “experiment” with the X-Men, he’s clearly prepping the next. I sincerely hope the franchise survives the experience. 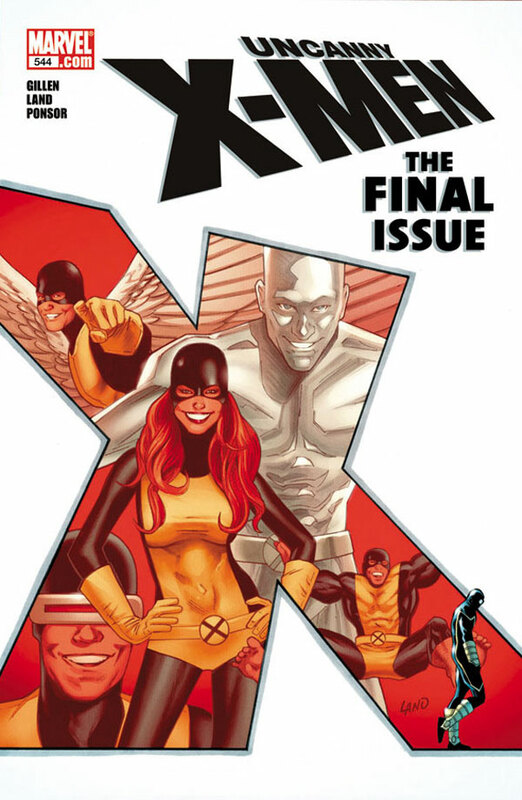 While I will disagree with you about Greg Land’s art and Kieron Gillen’s writing (not to mention the editorial staff), I will say that I am disappointed that Marvel saw fit to end the run of X-Men/ Uncanny X-Men to “make more money with a first edition”. I have every X-Men up to 536, when I got sick of the bad art and the absolute lack of editorial response to reader concerns, and I quit collecting comic books at that point. It does not surprise me that the ONE continuing series (despite the lack of sales leading to reprints from #67-92) from the 1960s has now discontinued that run in the name of the almighty dollar, but I will say right here and now for everyone on the Web to read: I will no longer buy current editions of comic books due to the corporate greed of their producers.